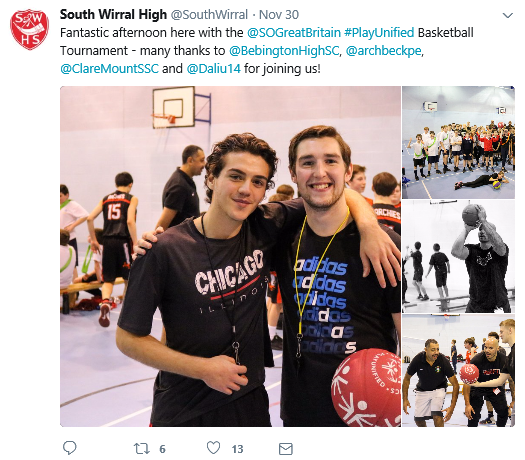 Clare Mount Sports College is the Lead Inclusion School for Merseyside. 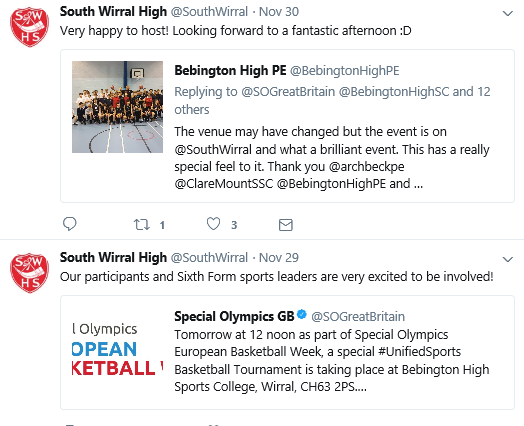 Mr Keefe, Mr White and Ms Green work with partners across Merseyside, the UK and Europe to support young people with Special Educational Needs and Disabilities, young people with low confidence and self-esteem, and young people with high levels of inactivity. 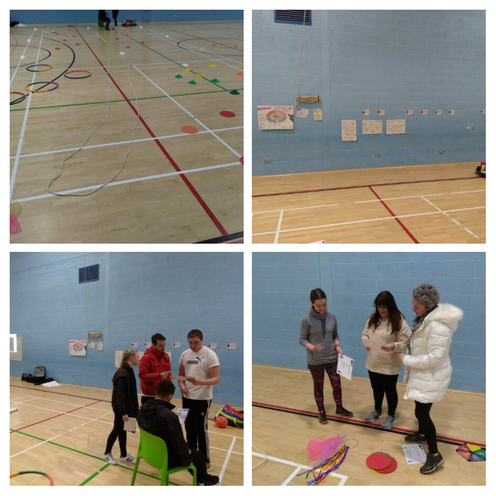 · Working with training teachers to deliver Inclusive PE lessons. 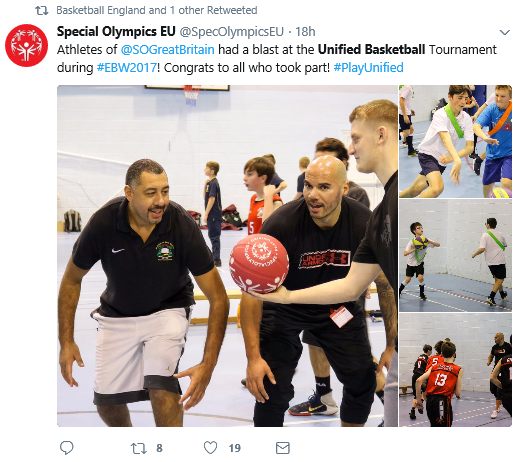 · Driving Unified Sport in partnership with the Special Olympics to give young people with additional needs the opportunity to play sport with their non-disabled peers. · Partnering with Woodchurch High School, Whizz Kids, The Hive and the NHS to deliver Ambassador Clubs through our wheelchair hub. 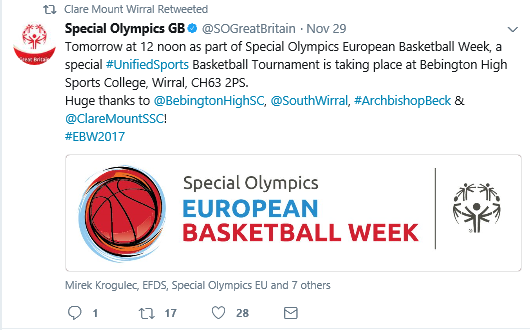 · Inspiring young people through the School Games offer to everyone in schools on Wirral in a range of adapted, disability and parallel sports. · Building resilience and confidence through our Extreme Sport hub with Jenna Downing and Neil Danns. 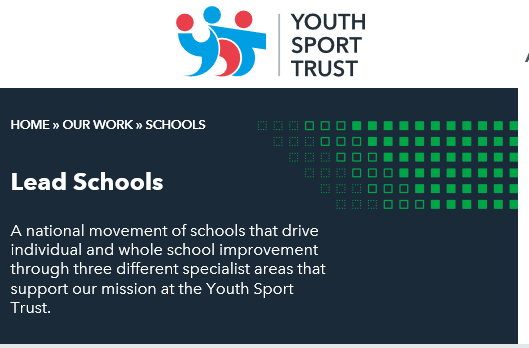 · Showcasing and delivering innovative physical and mental health programmes with partners like the Underground Training Station, Wirral Healthy Schools and Liverpool John Moores University and Uniuversity of Chester in Warrington. Here is a selection of some of our sports college work this term. 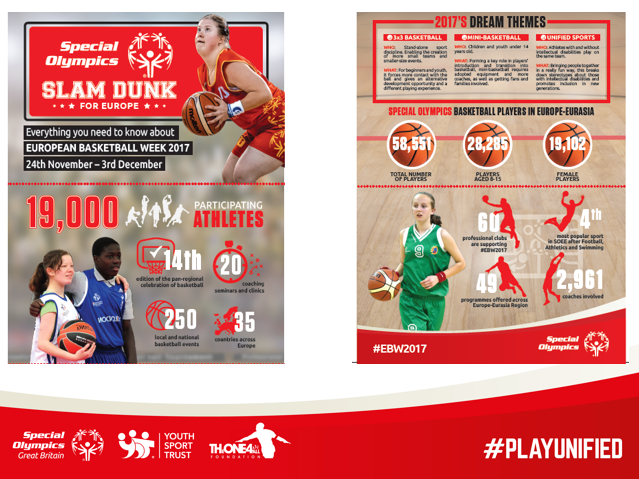 Unified Sports is a Special Olympics programme which joins people with and without intellectual/ learning disabilities on the same team. It is inspired by a simple idea; training together and playing together is a quick path to friendship and understanding. In Unified Sports, teams are made up of people of similar age and ability, which makes practices more exciting and fun for all. 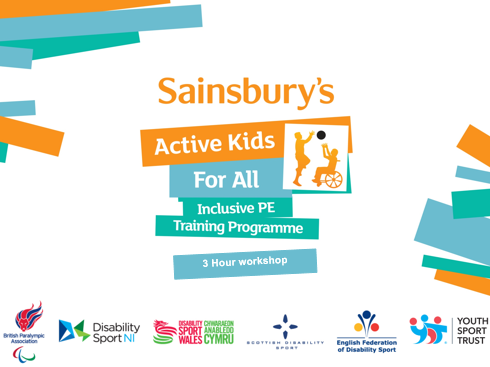 Since September 2017 we have trained over 250 training teachers, teachers, teaching assistants and sport apprentices in how to deliver inclusive PE lessons.